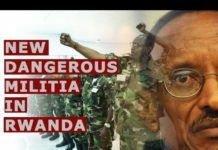 Why Is Kagame Applying To Join OECD Development Centre Instead of OECD Itself? The East African and The New Times have been reporting that the government of General Kagame seeks to join the Organisation for Economic Co-operation and Development (OECD). The East African, for example, proclaimed that Rwanda was ”pulling off a first with OECD membership bid ambition.” In an opinion piece in The New Times, it was claimed that last week the Rwandan cabinet ”approved plans to apply for the membership of Organisation for Economic Co-operation and Development (OECD).” Kagame is vain but not foolish — he knows his iron-fisted and low-income dictatorship could never be admitted in OECD. Kagame is therefore not applying for OECD membership. Far from it. 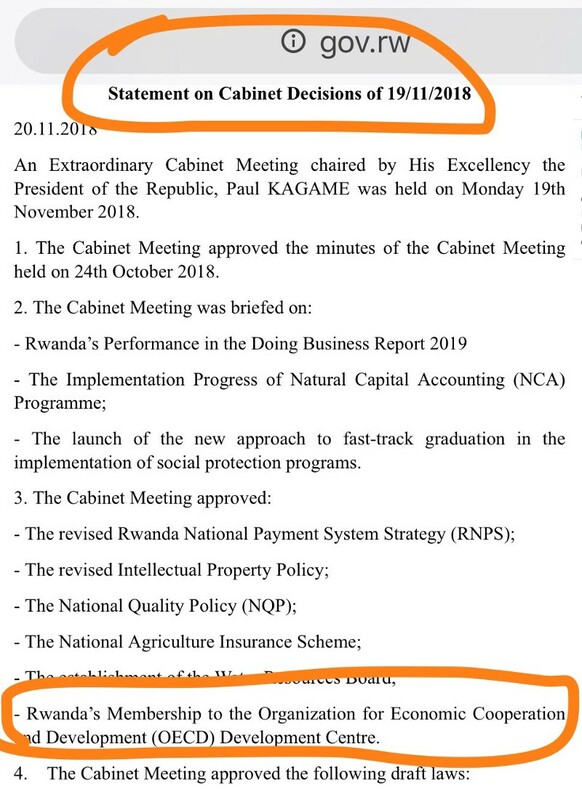 Source: Rwanda Cabinet Decisions, November 19, 2018. There you go General. Good luck with the OECD Development Center. Don’t say that I did not warn you. 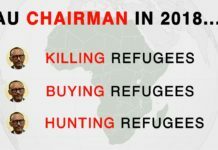 Next articleWill Canada, labeled an “apartheid country”, deserve a UN Security Council position in 2020?